In a large saucepan, bring water to a boil and add the hibiscus flowers. Immediately turn off the heat and remove the saucepan from the burner. Stir in the honey and steep the flowers for 15 minutes. Using a strainer, remove the flowers by straining the water into serving pitcher. Refrigerate for 3 to 4 hours. 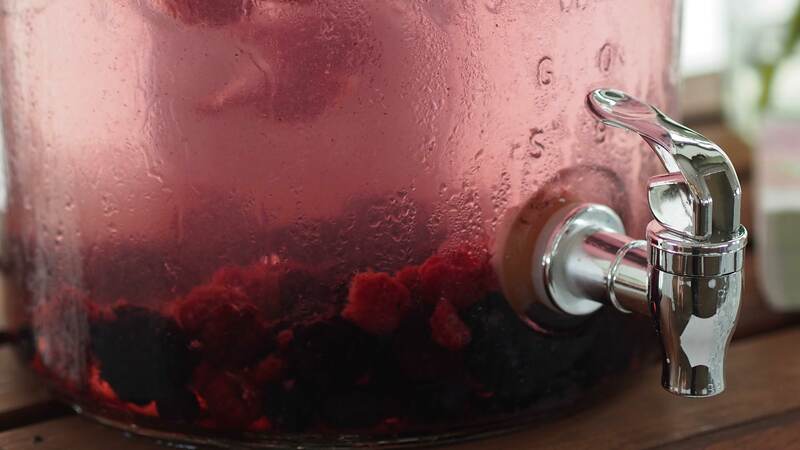 When ready to serve, add ice and blackberries to the serving pitcher.